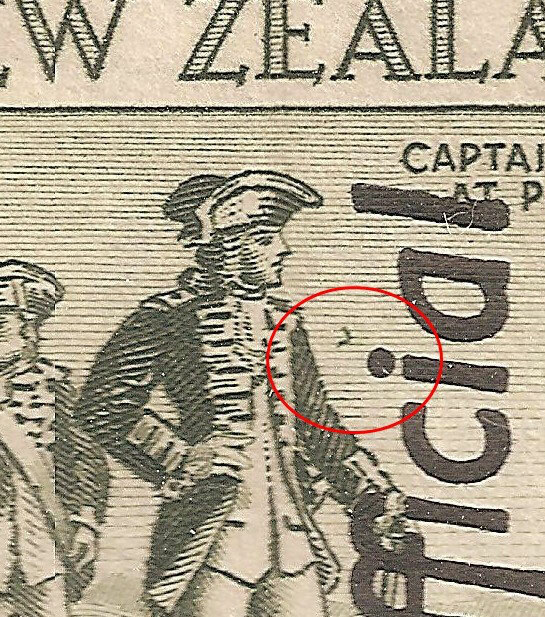 Plate 1, Row 3 - New Zealand Stamps, A 1935 Pictorial overview. 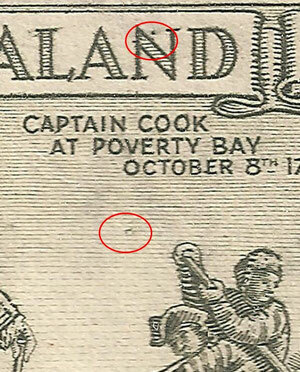 R 3/1 Three small dots on shore,Stage 2 ;Five small dots. 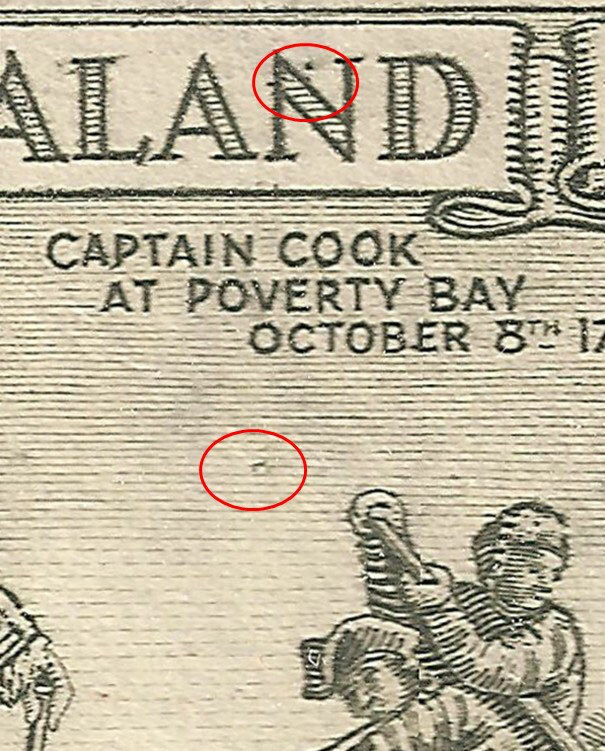 R 3/2 Curved flaw to right of Cook. 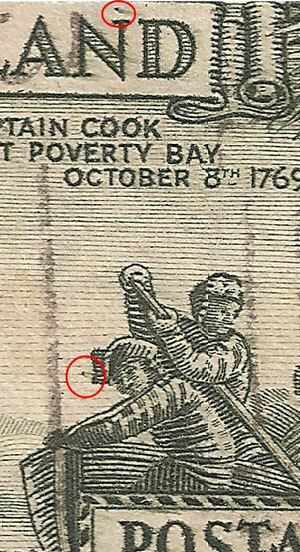 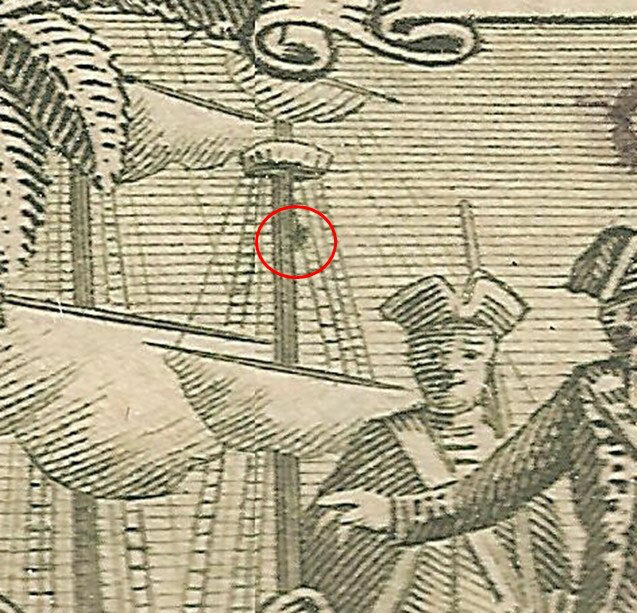 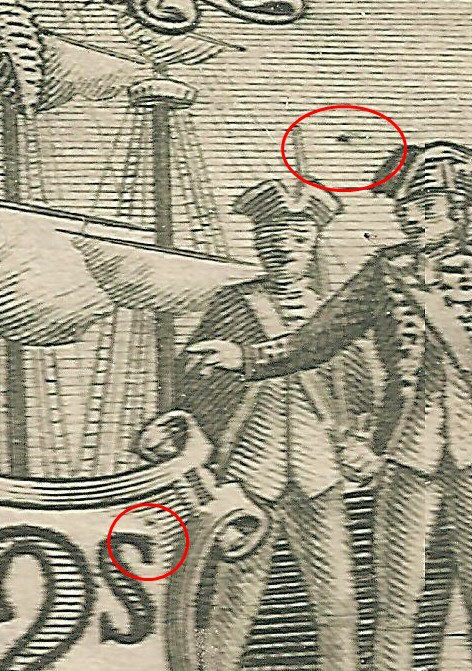 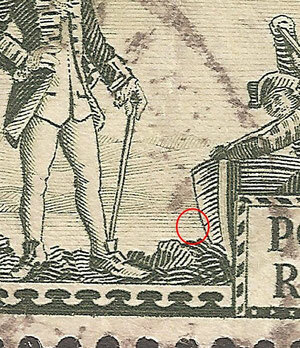 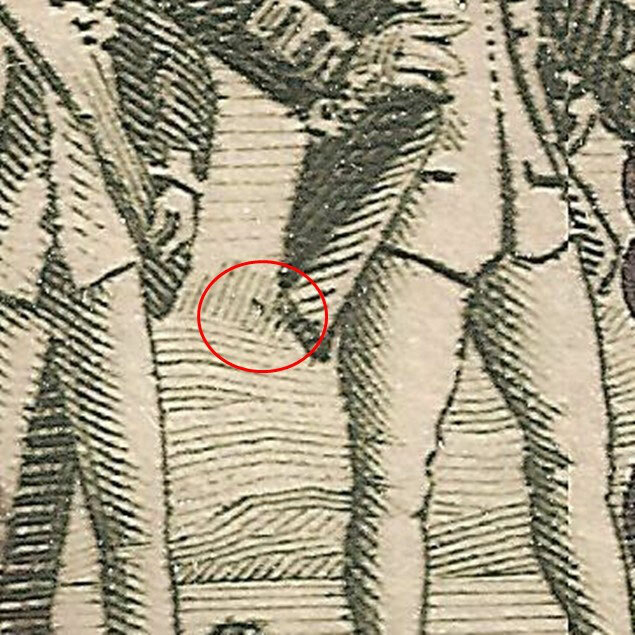 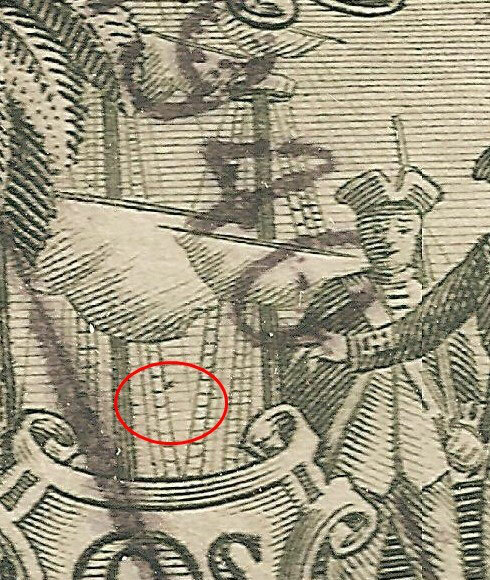 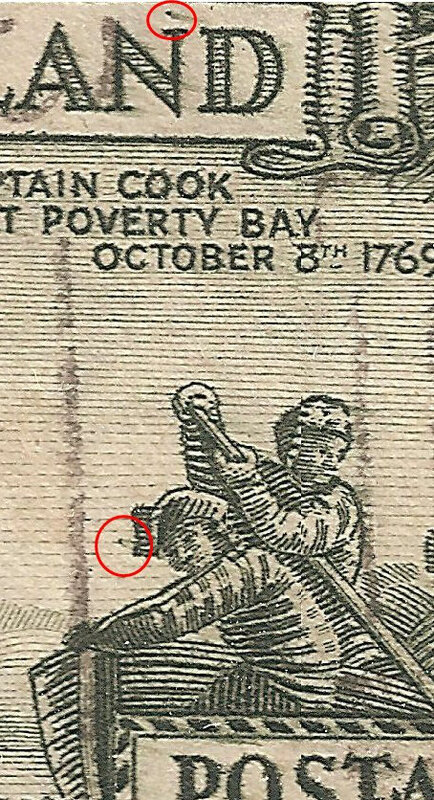 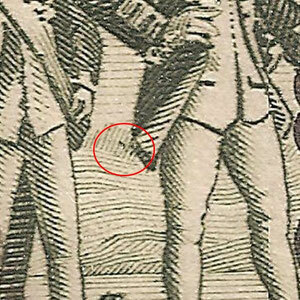 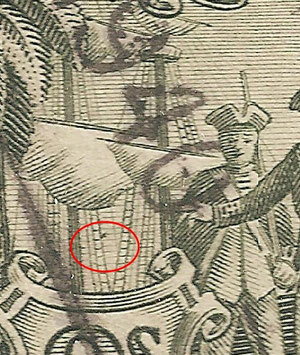 R 3/3 A small flaw to left of Cooks coat, also see below. 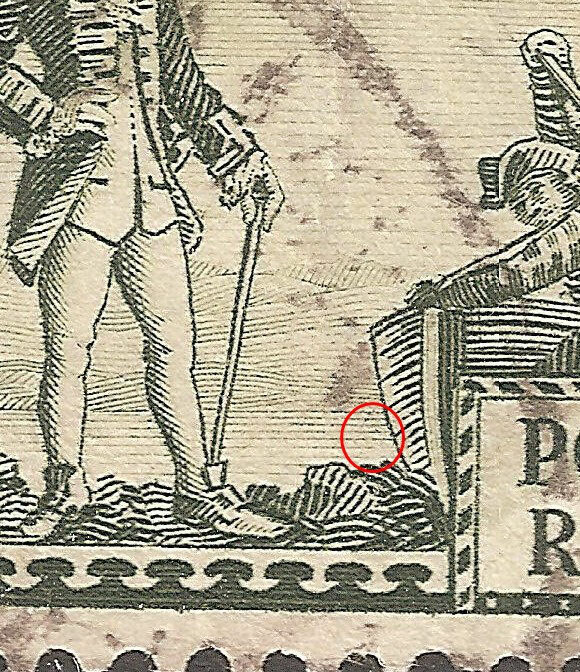 R 3/8 A flaw in value tablet and mark between heads. 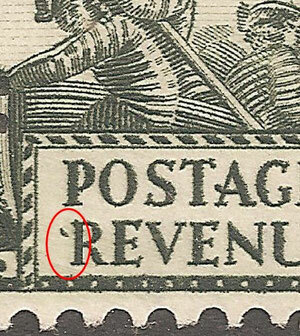 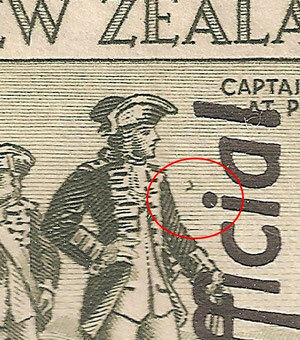 R 3/10 A curved dash to left of Revenue.Also small dot below W and Z of New Zealand. 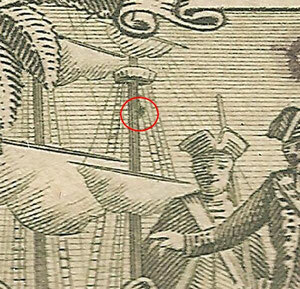 R 3/12 Dot to left of sailors head and a dot over N.